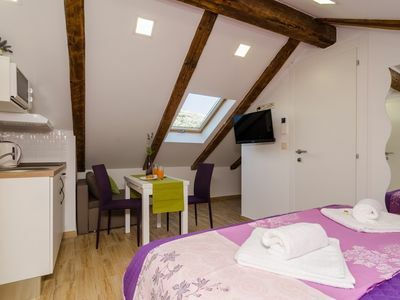 Lavender Garden Apartments are situated inside the city walls, so everything You may need is in 300 meters range. The accommodation is located just 140 meters from the famous House of Marin Držić. This accommodation offers five studio apartments and one double room. All units feature free WiFi, air conditioning, SAT LCD TV and a safe. The studio apartments come with a queen sized bed and a mini kitchen which includes a refrigerator, microwave, electric kettle, toaster and dining area. One of the studio apartments includes a sofa convertible single for a third person. The double room includes a double bed, sofa convertible single, refrigerator, electric kettle and a toaster. All units have a private bathroom with shower and a hair dryer. The Old Town’s central street Stradun is just 3 minutes walk away. 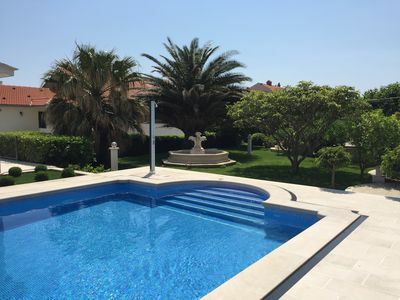 The accommodation is located just 900 meters from the nearest beach Banje, with many more of them in surrounding area and beautiful island Lokrum just a 15 minutes boat ride away. There is an open-air green market and other shops within walking distance, as well as a bakery, banks and ATMs, cafes, bars and restaurants with local and other cuisine. Famous night club Revelin, located inside the old fort, is just 450 meters away. Dubrovnik Bus Station and Ferry Port, connecting the mainland with various Dalmatian islands, are 9 minutes ride from the apartment, while Dubrovnik Airport is 21,5 km away.